Bread has long been practically synonymous with France, and at MEILLEURduCHEF.com we are proud of this heritage and tradition. 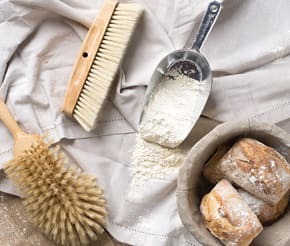 Bread making requires know-how and techniques, which you can find here with Chef Philippe's recipes, and the appropriate equipment and tools for professional results available on our website! Commercial bakery equipment: Outfit your professional laboratory and shop with dough ball containers, bannetons, flour brushes, linen couche cloth and display price tags. 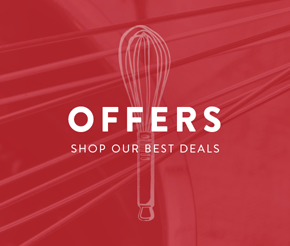 Electricals: Whether you're a professional or home baker, you'll find useful appliances that will make your bread making efforts easier: kneading trough, proving chamber, commercial bread slicer, etc. 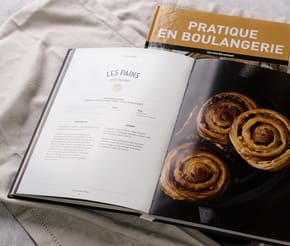 Bakery cookbooks: This selection of cookbooks are a great source of inspiration if you would like to start making your own bread at home and they're full of techniques and step-by-step recipes for foolproof results.